The recent growth of e-commerce websites has paved a way for the users to express their opinions on these web portals which, in turn, makes the customers review these comments before buying any product or service. The comprehensive reading of these large number of reviews is cumbersome and tiring. The purpose of this paper is to perform the analysis on the tourism domain reviews to decide whether the document is positive or negative. The traditional methods use a machine learning approach, but the authors are using an unsupervised dictionary based approach to classify the opinions. The scores of the opinions are extracted using Sentiwordnet, a popular dictionary for calculating the sentiment. Opinion mining is the way of analyzing opinions, sentiments and emotions of different entities in the online text documents. 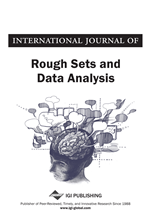 The analysis of the data using data mining has been reviewed in the paper by (Bhatnagar, 2013), (Acharjee, 2013), (Bhatnagar, 2010) and (Radhwan, 2015). (Li, 2013) shows the method of discovering market intelligence using different tweets as the dataset. The process of classifying the reviews in positive or negative has tempted a lot of researchers. (Tsytsarau, 2012) discusses about the different techniques in opinion mining and a new concept called contradiction analysis is also introduced in the paper. (Turney 2002) pointed out the classification at document level using unsupervised machine learning technique. A statistical approach was followed in which mutual information between different words was calculated.